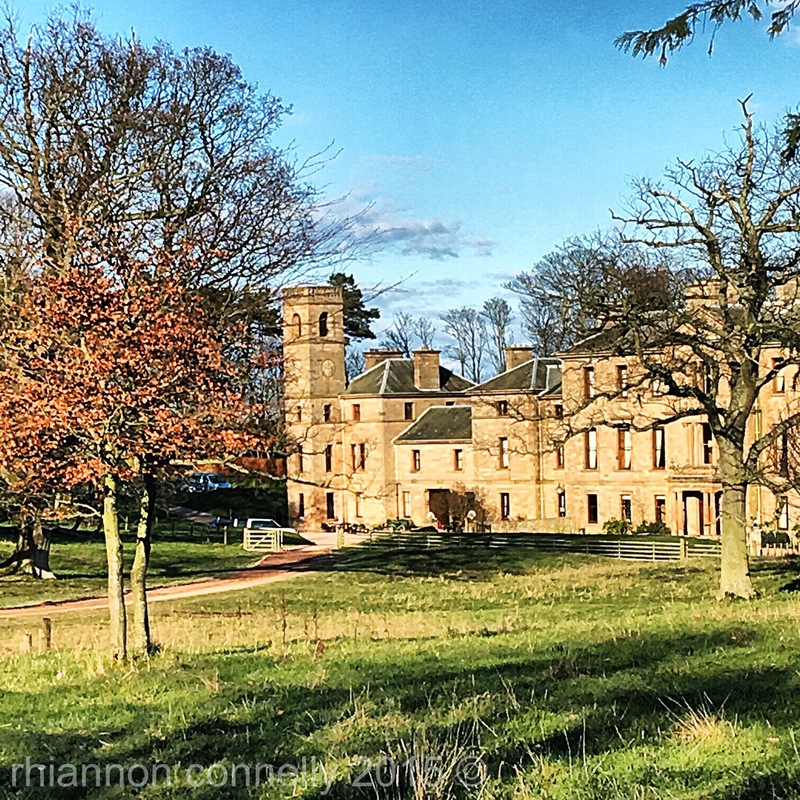 Cambo Estate ,in the East Neuk of Fife, is somewhere that has been on my radar for quite some time , but just never managed to visit. 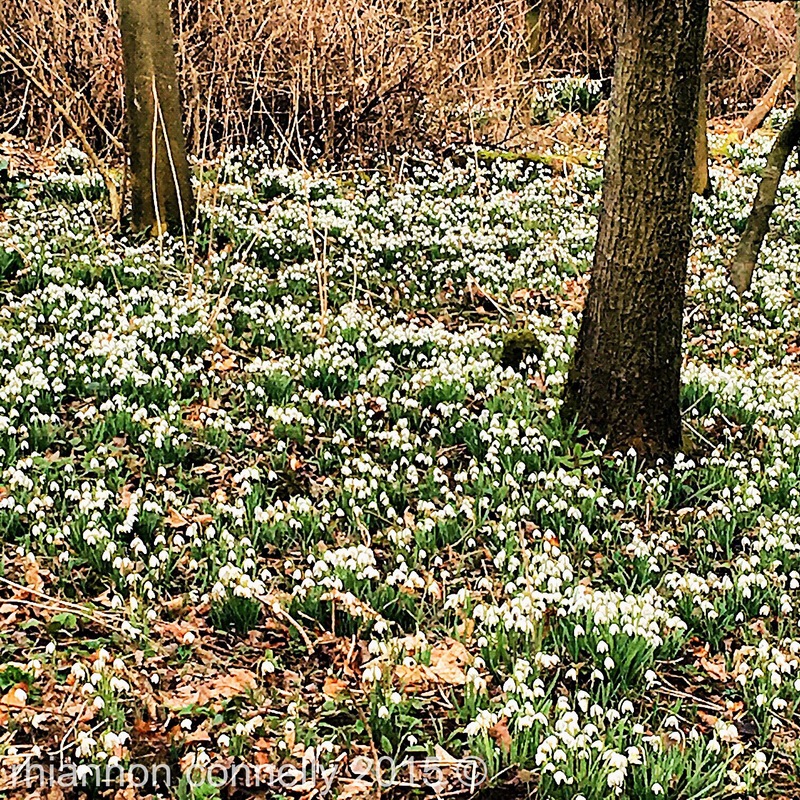 It is particularly known for a wonderful display of snowdrops. So when the weekend arrived with bright blue skies I knew exactly where I wanted to go. On arrival we discovered three buses had got there just before, and my heart sank a little. But my fears were needless as the grounds are so extensive that they can easily absorb quite large numbers. 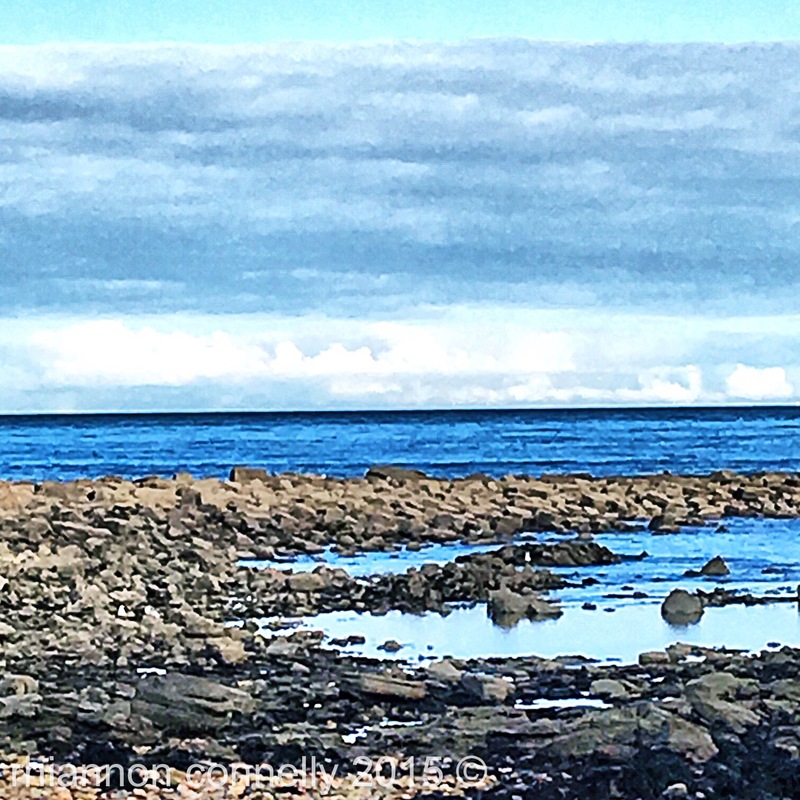 You can take a few different routes – and first off we followed the burn down to the sea. 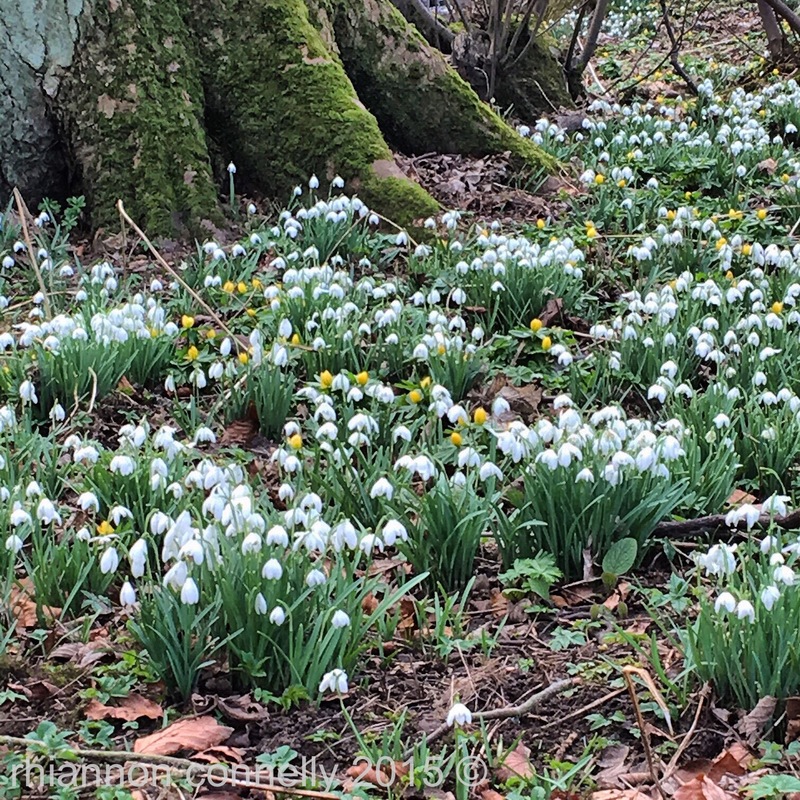 The woodlands were so full of snowdrops that it really does feel like spring must be around the corner. 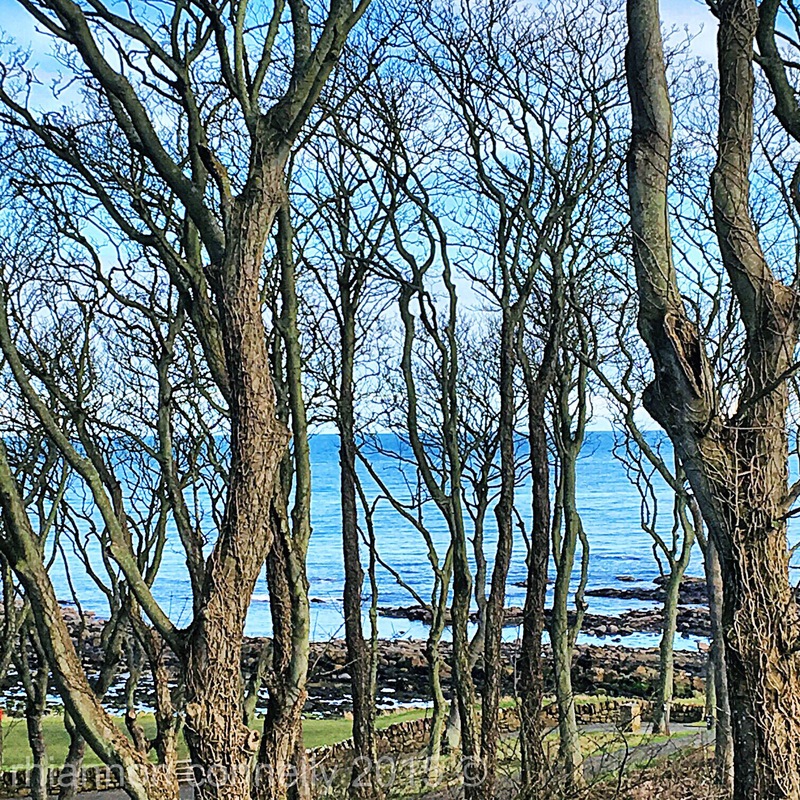 At the end of the Estate grounds you come out at a point where the golf course and the Fife Coastal Path cross. I made a mental note to come back over to Fife sometime soon to walk a stretch of the path. Doubling back we walked up the glen , past the main house and around the stables. 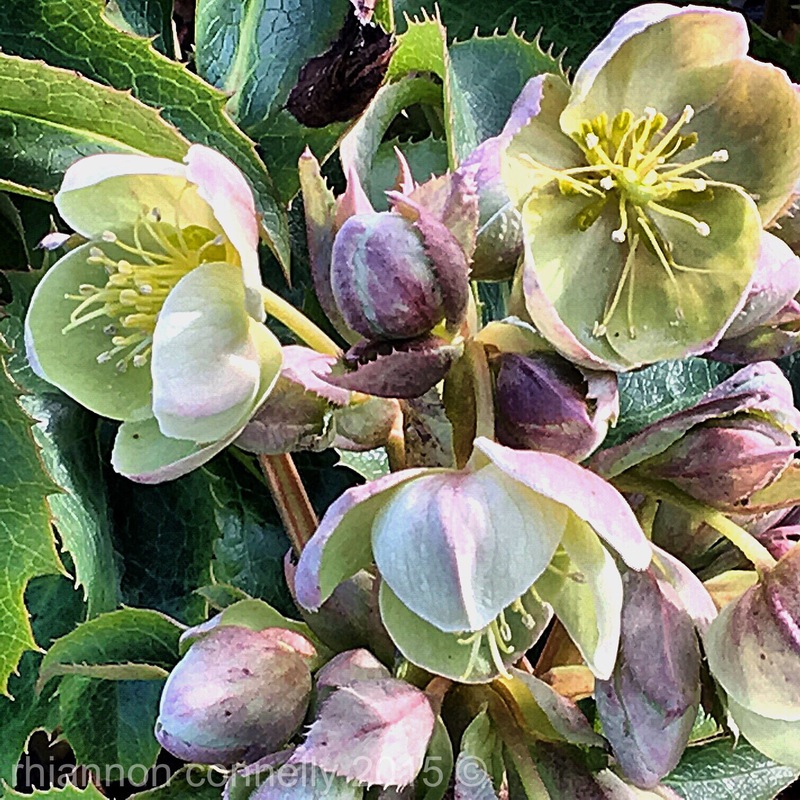 Heading across to the cafe we walked through the winter garden – planted up not only with snowdrops of many varieties, but also hellebores and a lot of beautifully chosen dark leafy plants. The contrast of greens and purple black shades was stunning. By now we did need a wee cuppa. The cafe is inside , but in a kind of covered courtyard. Decked out with twinkly lights and a few outdoor heaters it looks very pretty. Afterwards we headed back out to have a look at the walled garden. This was mostly lying still at the moment , but I asked when it would be at its best. All through the summer it is lovely but apparently August is the time to see it in full display. 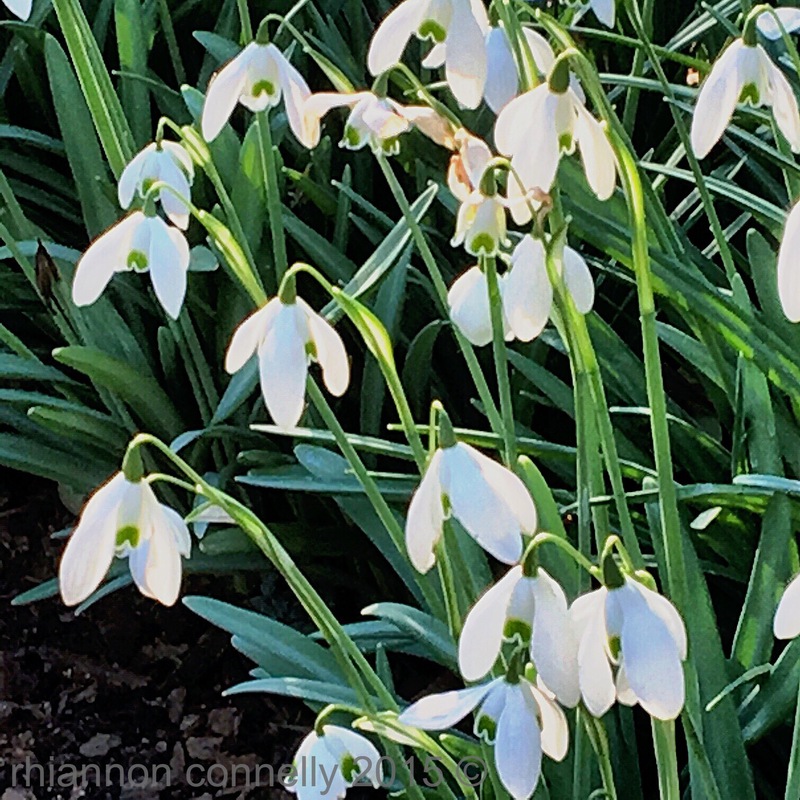 If you are a true snowdrop fan you can buy very unusual specimens in the plant shop. I went against the grain and came home with a beautiful deep coloured hellebore instead. The weather certainly played a part as the day was “brisk” but with a bright blue sky, but all together it was a thoroughly enjoyable visit. On another occasion I think I would look for somewhere to stay over as there is a lot to see and do in that corner of Fife. The eagle eyed amongst you will notice blogging has been a little light around here. The extra day of Leap Year seemed a good excuse to jump back in. Bit by bit I’ll be freshening things up a little, but I’ll still be writing about travel and art inspirations. Thanks for coming back to read and I hope you’ll keep coming back ! This entry was posted in Uncategorized by Starrybluesky. Bookmark the permalink.